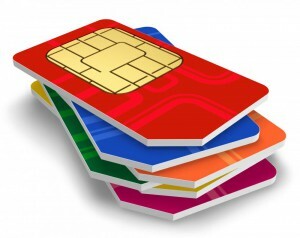 With a wide range of (Machine-to-Machine) M2M SIM card providers and airtime plans to choose from, it can be hard to know where to turn for cost-effective cellular connectivity for OEM telematics, industrial telemetry and other M2M asset management applications. You’re looking for a one-stop shop, so your provider should be a single destination for several different global Tier 1 cellular providers, giving you the choice you need to meet your unique M2M asset tracking needs. The ability to manage all SIM provisioning directly through one secure, scalable web-based platform can drastically simplify M2M subscriber, network and device management. Has the provider established unique cellular partnerships giving you access to cost-effective data plans on a variety of networks (2G, 3G, 4G)—no matter what your data requirements? By choosing a provider that is 100% dedicated to M2M, you know you’re getting the expertise needed to package data plans to enable successful M2M and Internet of Things (IoT) applications. Will you have access to a mobile application for subscriber management? With a mobile app you can enjoy simplified provisioning and subscriber management in the palm of your hand. Want to learn more? Contact us to find out how ORBCOMM can provide the connectivity and flexibility you need for successful M2M asset management.